Bhai Dooj / Bhai Dhooj (ভাই ফোঁটা, भाई दूज) is a festival dedicated to brothers and sisters in India On Bhaiya Dooj (Bhai Dooj / Bhai Dhooj), sisters pray for their brothers to have long and happy lives by performing Tika (Fota) ceremony and brothers offer gifts to their sisters. 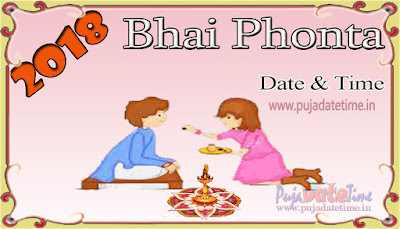 Bhaiya Dooj is also known as Bhau Beej or Bhai Fota and Bhathru Dwithiya.Bhai Phonta 2018 date is November 9. 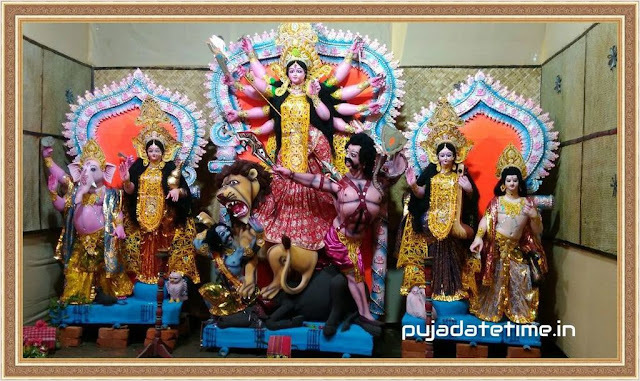 Bhai Phonta 2018 Bengali Festival Date and Time in India, ভাইফোঁটা ২০১৮ তারিখ এবং সময়, वाई फोटा २०१8 , Date of Vai Fota 2018, Bhai Phonta 2018 date & Time, Bhatri Ditiya 2018 Date and Time schedule. Jomuna Day jomke phonta, Ami di amar bhaike phonta. Amar hathe phonta kheye amar bhai hok Amor.